Easter is a wonderful time to visit Cornwall. Spring arrives early here, the wildflowers are springing to life all around and there’s a buzz as Cornwall prepares to throw open its doors and welcome visitors from up-country. In addition to our fabulous sandy beaches, open moorland and stunning coast path there are plenty of activities planned so here's our round-up of the best of what's on this Easter in Cornwall. 1. The Eden Project 24th March to 15th April – with a giant obstacle course, a golden egg hunt, a plant discovery trail and a fabulous 'Operation Earth' live show there’s something for everyone at the Eden Project this Easter. It’s also a brilliant place to visit if it’s raining - it's lovely and warm and dry in those biomes! 2. 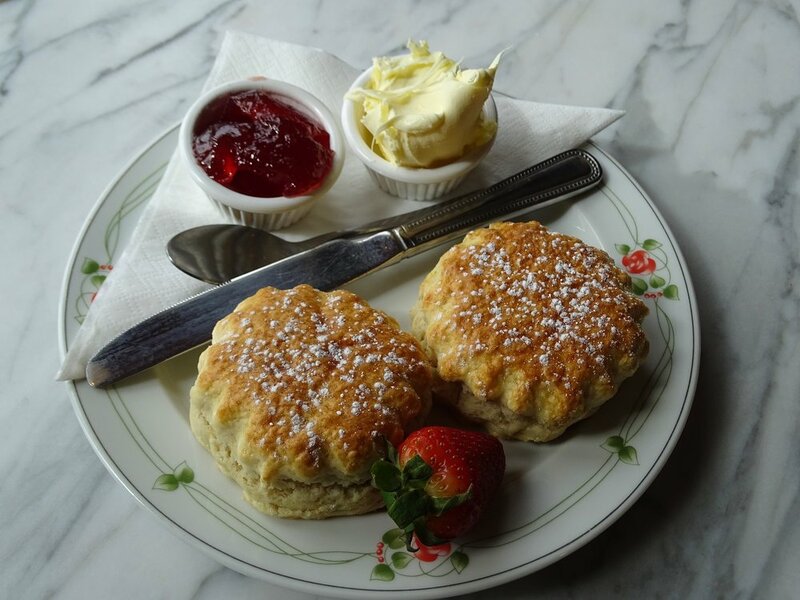 Bodmin and Wenford Railway 'Steam and Cream Train' Sunday 1st April - enjoy a luxurious cream tea on a fabulous old steam train as it travels on a return trip from Bodmin to Boscarne Junction. A real treat - advance booking essential. 3. Tintagel Castle Friday 30th March to Monday 2nd April – always a great place to visit, the views along the coast are quite spectacular. This Easter you can join the quest for dragons' eggs and claim your chocolate reward at the end. 4. St. Endellion Easter Music Festival 31st March to 8th April - an internationally acclaimed festival of music featuring a unique mixture of amateur and professional musicians in the beautiful church at St Endellion, near Port Isaac. 5. The Cornwall Spring Flower Show, Bocconoc 2nd-3rd April - voted one of the best flower shows by the Daily Telegraph, there will be show gardens, trade stands and gardening experts on hand to give advice. 6. The Man Engine Resurrection Tour, Royal Cornwall Showground, Wadebridge April 2nd - the largest mechanical puppet ever constructed in Britain. Coming to the Royal Cornwall Showground on Easter Monday. Afternoon events for families and evening events involving pyrotechnics. Promises to be spectacular. 7. Healey’s Cider Farm 24th March to 8th April – pulling out all the stops this Easter with Easter egg hunts, tractor rides, tours of the farm and an opportunity to meet the farm animals. Sample the wonderful cider and enjoy a roast lunch or a cream tea. 8. Portugese Feast at Knightor Winery, St. Austell Friday 30th March - a ‘Festa’ of Portuguese food plus a wine tour and tasting. 9. The Railway Children at The Minack Theatre 3rd to 14th April - perched high on a cliff the Minack has to be seen to be believed and it’s a spectacular setting for this well-loved story. 10. Antiques, Vintage, Salvage and Decorative Fair at the Royal Cornwall Showground, Wadebridge March 30th to April 1st - hundreds of stalls inside and out, plus a classic vehicle rally and auction. 11. International Mining Games 2018, King Edward Mine, Camborne 29th March to 1st April - 50 teams from across the world compete in 7 events to commemorate those who have lost their lives and to preserve the methods for years to come. Culminates on April 1st with the awards ceremony with awards handed out by the Man Engine. 12. Stockcar and Banger Racing, Redruth Sunday 1st April - with an ultimate destruction derby. 13. Trebah Garden, Falmouth - enjoy a delicious lunch on Easter Sunday at this stunning sub-tropical garden, one of the Great Gardens of Cornwall. Booking essential. 14. Scarecrow’s Wedding at The Lost Gardens of Heligan 30th March to 15th April - with a fun trail, games and workshops all based on the popular children’s book by Julia Donaldson and Axel Scheffler. This is a great place for adults, children and dogs too.